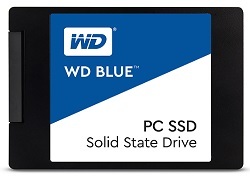 For high-end computing applications like gaming, HD media playback, or creative software, look to WD Blue 3D NAND SATA SSDs. 3D NAND technology helps enable sequential read speeds up to 560MB/s and sequential write speeds up to 530MB/s for fast system boot-ups, quick application responses, and rapid transfer speeds. System Mechanic provides everything you need to keep your PC running like new. The ONLY Software that Moves Your Files, Settings, and User Profiles! Moves Your Files, Settings, and User Profiles - and Lets You Scrub Clean Your Old PC! !